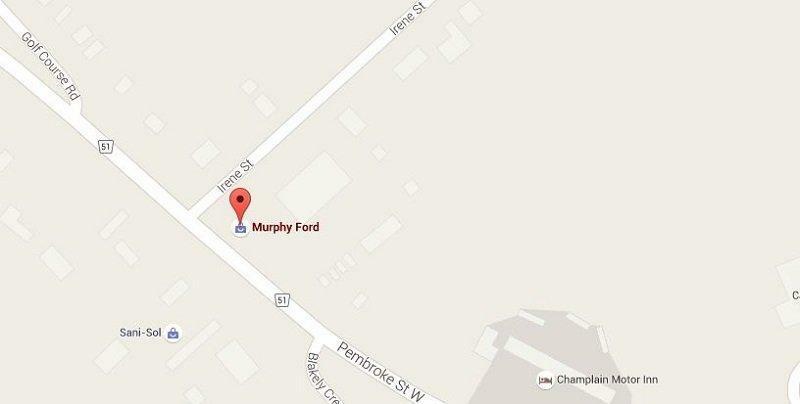 Murphy Ford is a third-generation Ford dealership that has been a part of the Ottawa Valley community since 1966. Our story started when Frederick Murphy came to Pembroke, Ontario to goal tend for the Pembroke Lumber Kings. After taking a slap shot to the eye, his hockey career came to an abrupt end. Having sold vehicles in the off season for McCool Motors, he decided to open a Ford dealership, as hockey and cars were what he knew best. In 1982, Fred sold his business to his three sons, Martin, Michael, and Reid. Since 1992, Michael Murphy has taken sole ownership of the business, and is now teaching his three children, Natasha, Lana, and Edward, what it takes to operate one of the most recognized businesses in Pembroke. We are coming to our 50th anniversary of selling and servicing our community to the best of our abilities, and have no plans on “hanging up the skates”. We are committed to serving our customers, and making them a part of our Murphy Ford family. Stop by Murphy Ford Sales for all your Ford service needs. Questions? Any of our knowledgeable service and sales people can help. Call 888-813-5116.